If you hadn’t noticed that Dwayne "The Rock" Johnson is now one of Hollywood’s biggest acting commodities then you’re definitely going to over the next few months and years. That's because the former wrestler has four films due for release within the next 12 months, as well as at least Jumanji, Shazam, and Big Trouble In Little China in development, too. But this is just the beginning, because a Fast & Furious producer has now admitted that they're planning for a Luke Hobbs spinoff. And that's music to our ears. 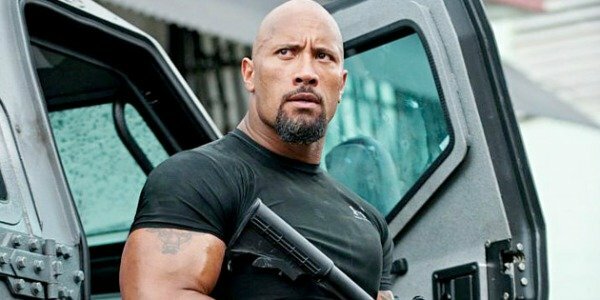 Fast 8 will mark the fourth time that Dwayne Johnson has portrayed Luke Hobbs in the franchise. Producer Hiram Garcia has now admitted to ComicBook.com that not only will Luke Hobbs feature more prominently in Fast 8 than he did in Furious 7, but that discussions have already taken place for a standalone Hobbs film. There’s a real goal for that, and we can have enough fun with that where we’ve earned that now with the audience. He’s a beloved enough character that they’d love to see what a ride with him would be like in his world. We have tons of history that we’ve crafted for this guy that we continue to sprinkle in throughout the movies. You’ll see a little bit more in this movie but ultimately we want to take that ride and spin him off and have some fun with it. It’s hardly surprising that Hiram Garcia is very, very interested in a Luke Hobbs spinoff. Alongside writer Chris Morgan, who has scribed six out of the eight Fast & Furious films, and Dwayne Johnson, Garcia helped to create the character of Luke Hobbs. His debut came in Fast Five, where he worked as a Diplomatic Security Service agent and government bounty hunter who was hell-bent on capturing Vin Diesel’s Dominic Toretto because he wrongly believed they’d killed DEA agents. However, after learning the error of his ways, Agent Luke Hobbs ultimately joined up with the Toretto gang, and in Fast & Furious 6 and Furious 7 he helped to bring down Owen Shaw (Luke Evans) and Deckard Shaw (Jason Statham), respectively. But after his first run in with Deckard Shaw in Furious 7, Hobbs found himself incapacitated for a long stretch of the film as he was forced to recuperate in a hospital. To be fair to Luke Hobbs, he was flung out of an exploding high-rise building, landing on top of a car, while at the same time cradling and protecting Elena Neves (Elsa Pataky). He almost certainly should have died. Dwayne Johnson’s busy production schedule was one of the reasons why Luke Hobbs was on the sidelines for <>Furious 7. But Hiram Garcia has insisted that’s not the case with Fast 8, with Hobbs’ involvement spread throughout the entire film. We'll get to see the results when Fast 8, which has already begun production in Atlanta, is finally released on April 14, 2017.